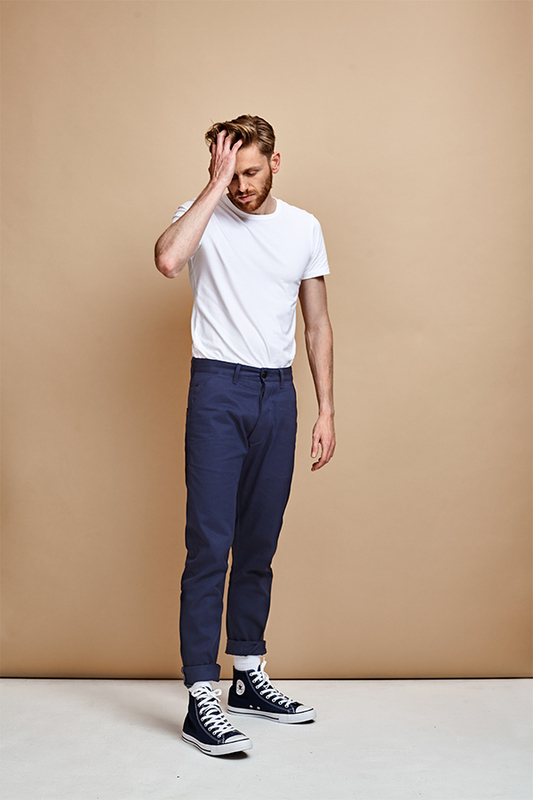 Dumluck is a young denim label based in the Netherlands, with it’s focused on crafting top quality jeans. In 2014, Dumluck started with just a handful of vintage sewing machines sourced throughout the Netherland and in a few parts of Belgium and with just a few yards of premium Japanese selvage denim fabrics we started to make our first steps. We remain true to the Heritage classic styles while simultaneously incorporating new and modern silhouettes. We are driven by quality, design, and fit and apply these principles to every product we design and craft here in the Netherlands, where every technique used to crafted a pair of jeans has a purpose. The tone of the dumluck brand is to create and craft raw denim garments with a modern day attitude. With our clear concept in creating clean and simple raw denim garments, we aim to satisfy most denim connoisseur worldwide.